This recipe is the devil. It's basically the most delicious thing ever, and it's really easy to make. I was recently obsessed with the Sticky Toffee Pudding from President's Choice. Hubby got real sick of me thinking of things we needed from Superstore just so I could get my hands on more. It's seriously amazing. But I always think homemade is way better than store-bought. So if this stuff was so good, what would homemade sticky toffee pudding be like? It would have to be mind-blowing. 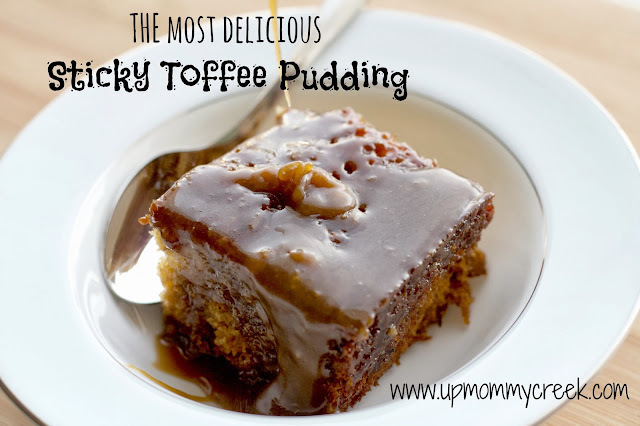 As fate would have it, a friend of mine just so happened to post on Facebook that she thought that sticky toffee pudding was perhaps the most perfect dessert ever created. 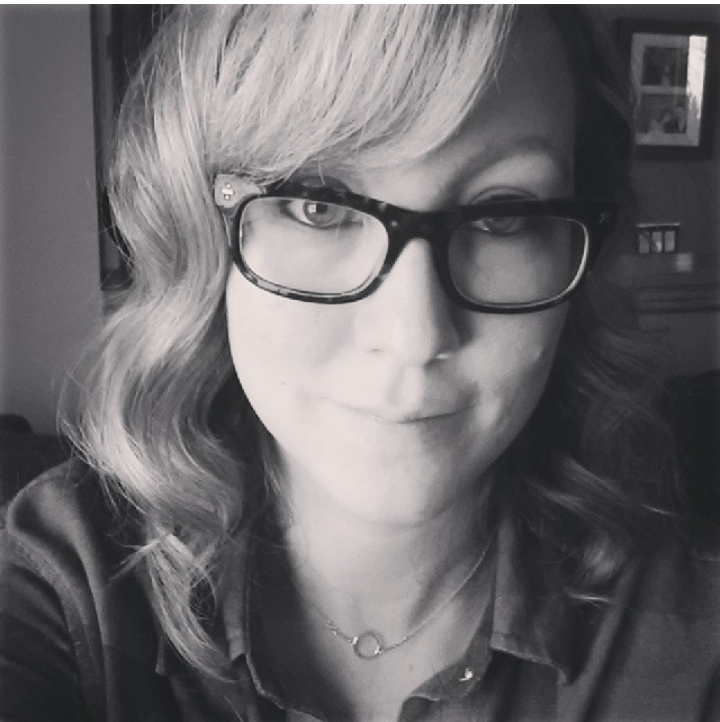 I shared with Sarah my love for the gooey stuff and I started on the lookout for a good recipe. There are many out there, but they all seemed a little intimidating, or missing the gooey factor (which is the best part). I wanted something that was easy to make and preferably not using ramekins, as I don't own any (gasp!). 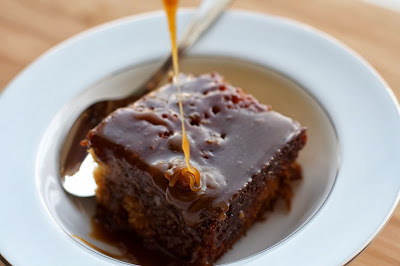 A few days later, Sarah says her mother-in-law is visiting from Scotland, and happens to have a recipe for sticky toffee pudding which is both easy and scrumptious. And let me tell you...that is an understatement. This is literally heaven in a bowl (or straight from the pan if you have no self-restraint like me). Many thanks to Ann and Sarah for bringing this into my life, although I'm not sure my waistline thanks you as much. Ha! Place dates and baking soda into a medium saucepan and pour the boiling water over them (mixture will foam up). Set the pan over medium heat and simmer for one minute. Take off the hear and leave to cool for 15 minutes. Preheat oven to 350F, and grease a 8" square baking dish. Place butter and sugar into a large mixing bowl and beat until light and fluffy. Gradually add eggs, beating well after each addition. Mix flour, baking powder and salt together, and gently stir into bowl with a spoon, followed by date mixture and vanilla extract. Stir until combined. Pour into greased baking dish and bake for 35 minutes until springy to the touch. While cake is baking, make the sauce. Place sugar, butter and cream into a medium saucepan and add a split vanilla bean. Heat gently until butter is melted, then bring to a boil and simmer for about 5 minutes until thickened and a rich toffee colour. Try not to eat the whole pan. When cake is done, spoon a little sauce over the sponge to coat the surface and return to the oven for 5 minutes. Remove from oven, cut into squares and pour hot sauce all over the sponge. Lick the plate. I would not normally make that, but, since I have that bowl, oh ok.